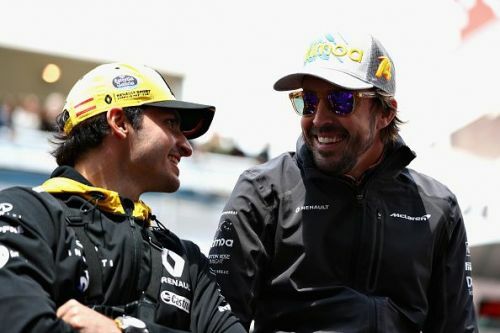 With the announcements of Fernando Alonso's retirement and Daniel Ricciardo's move to Renault, the rumor mill has been kicked up into overdrive for who is going where in 2019. There are now two seats that will be very sought after by the rest of the grid, and I'm going to dissect the fact from the fiction and predict who will be driving for which teams next season. Fernando Alonso is Carlos Sainz's idol, and I believe he'd want to follow in his hero's footsteps. Joe Holland did a great article on this earlier, so please check that out if you haven't already. Despite McLaren's uncompetitive car, this is a seat that a lot of drivers are after, with everybody from Force India's Esteban Ocon to reserve driver Lando Norris linked with it. For me, the one who will be racing in papaya next season will be Alonso's biggest fan, Carlos Sainz. Sainz is currently a Renault driver but has been confirmed to not be racing for the French outfit in 2019. The Spaniard's other option is Red Bull, who loaned him to Renault, but due to a fractured relationship with Max Verstappen, I believe that the Milton Keynes outfit won't choose to add Chilli, especially with the memories of Mark Webber and Sebastian Vettel still fresh in the team's memory. So, who goes to Red Bull? Red Bull love to promote from within, so that leaves one man in the frame. 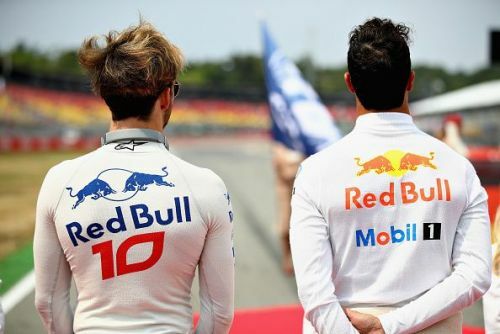 There have been two standout candidates for the second Red Bull seat ever since Ricciardo announced he was leaving the team, the aforementioned Sainz and Pierre Gasly of Toro Rosso. Gasly has performed superbly in his first full season of F1 racing, producing standout drives in Bahrain and Hungary and out-performing the much more experienced (albeit in different categories) Brendon Hartley throughout the campaign. At 22, he's got huge potential, just like Sainz, but the key difference being that his mind will mesh better with Verstappen in the senior team. That coupled with the fact that I don't believe he'd mind being a number 2 (at least in 2019) makes the Frenchman the obvious choice.